ATLANTA, GA — The city’s signature New Year’s Eve celebration moves back to Underground Atlanta this year, as the iconic Peach Drop is set to ring in 2019. Mayor Keisha Lance Bottoms announced last week the event will return to Underground, the home of the very first Peach Drop back in 1989. 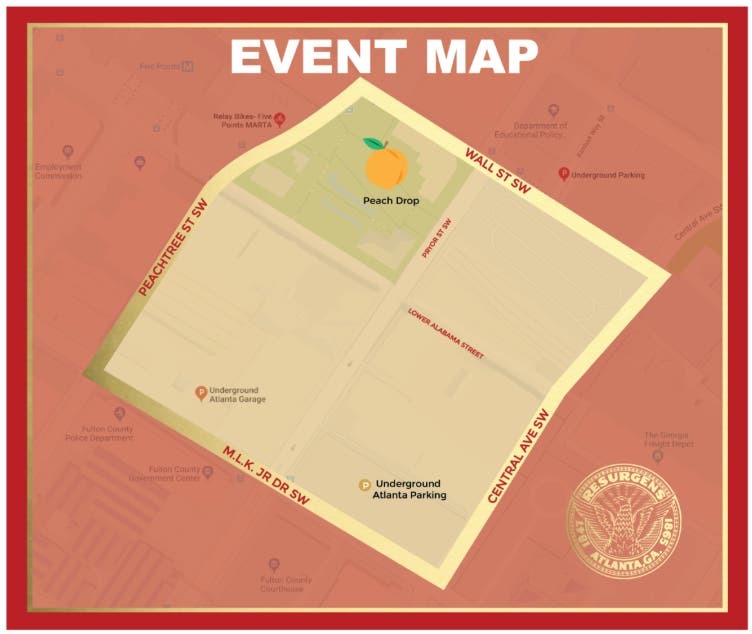 Entrances are located on Peachtree Street, Marietta Street and Martin Luther King Jr. Drive. 7:00 p.m. – Entertainment begins from such local artists as Jagged Edge & 112 “The Xperience,” and Better Than Ezra. No weapons are allowed on the event premises and personal items such as handbags and book bags will be checked at all entrances. Street closures will begin at 3:30 p.m.